Like the rest of us, he also has moments of clarity, genius, maybe even divine inspiration. One thing he did VERY well: bring little-known, obscure and intellectual yoga concepts from India to a broad American audience. One such example is ‘drishti’, the consciously directed, unwavering, unblinking, steady and detached gaze prescribed in each of the 26 postures and two breathing exercises. Bikram describes this transformational and powerful concept in a single tw o-word command: DON’T BLINK! More than 90% of your sensory input (when you are awake) enters your body through your eyes. In fact, you take in so much visual information that more than one-third of your brain is devoted to visual processing. That’s an awful lot of data! Much of it goes directly into memory; even more is discarded immediately. Not only do your eyes take in information, they create and send outgoing messages, too. Much of your personal expression is created and sent via your eyes. If you aren’t consciously attending to your gaze…and deliberately reining it in, you are allowing tremendous volumes of unfiltered, low-value–and possibly even harmful–data to enter and leave your brain. Imagine the effect of weeks, years, decades of unattended eye movement! It’s mind blowing! That’s a long winded way of saying, FOCUS YOUR EYES one point. DON’T EVEN BLINK. Training your eyes is a learned skill. Think of your eyes as hummingbirds…they like to flit around, landing only briefly and lightly. That is their natural state. Public spaces, especially commercial, profit-based spaces, are generally built to reinforce and exacerbate eye movement. The time and effort that you devote to yoga teaches you to move your eyes systematically, so that you focus on what matters most to YOU. Not what someone else wants you to buy, do or think. A focused gaze creates concentration and safety. Even in a busy yoga school, you are able to sustain attention to your particular, individual expression of each asana. At the same time, you become peripherally aware and considerate of the students around you, without fixating or comparing. You are able to listen to the teacher’s instructions. A steady gaze makes it easier to maintain balance in the one-legged standing postures. In the forward-bending postures, drishti pulls the body into alignment, stretching the back and neck. In backbending, drishti aligns the head and neck, while also opening your chest. In twisting postures, drishti moves you deeper and keeps you calm. Stopping your eyes, even briefly, quiets your mind, calms your breathing, and encourages fluid, graceful movement. There are nine traditional positions for your eyes. These are most important when holding the posture in stillness. Drishti can be released as you transition. Bikram did us a big favor by outfitting his yoga schools with mirrors when he came to the US in the 1970s. 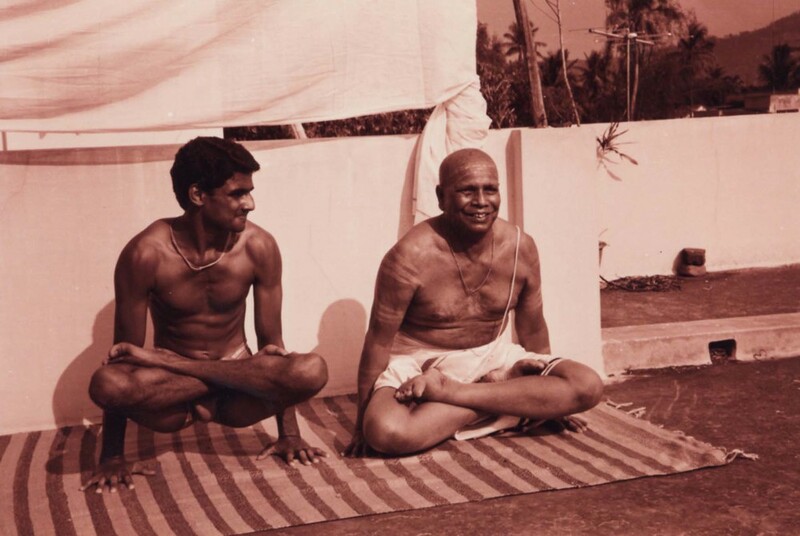 He gave us easier, more exciting external places to put our eyes, at least in the early days of practice. So if you’re having trouble with the positions listed above, use the mirror! If turning inside, looking inside, is too much at the beginning. Gaze instead at your reflection. It’s a good place to start.